Are More Carries on the Way for Jaylin Bradley? 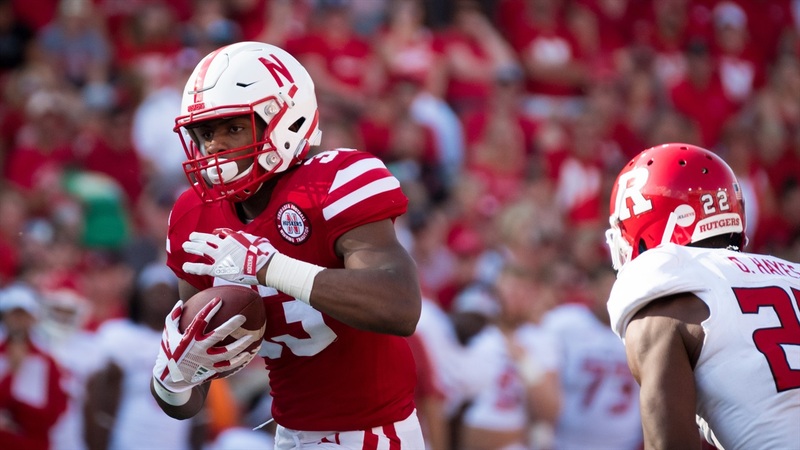 Jaylin Bradley got his first taste of game action as a Nebraska running back against Rutgers last Saturday, and as the team prepares for a Friday night contest with Illinois in a few days, Bradley’s hoping the carries keep coming. "I’m glad I got some carries finally and it felt pretty good,” the true freshman said. Bradley carried it just six times for the Huskers for 18 yards, but he said he was warmed up and ready to go after the first one. Bradley was the second tailback off the bench for the Huskers on Saturday, but his first career carry got stuffed just one yard past the line of scrimmage. Bradley chalked it up to first-carry jitters. "Coaches were like ‘we’re going to give it to you again,'" Bradley said of what he was told when he got back to the sideline. "'You got your jitters out so it’s big boy football, you need to step up.’"
On his next carry, Bradley did just that and went straight up the middle of the defense for an impressive 8-yard scamper. After the game, offensive coordinator Danny Langsdorf said it looked like Bradley “belonged just fine” on the big stage. Davis said the same of the Bellevue native. On Monday, Mike Riley hinted that more carries could be on the way for Bradley this weekend if starting tailback Tre Bryant is still unable to go. (Bryant did not practice Tuesday.) Davis said the staff isn’t trying to overdo it with the youngster though, “just keep giving him a little bit at a time” and see how he does. Bradley’s role on the team, though, doesn’t stop in the backfield. He’s a gunner on the kickoff coverage squad, one special teams coach Scott Booker affectionately calls ‘Seek and Destroy,’ and gets to call out the coverage to the rest of the unit. Davis said he likes all of his backs to participate in special teams, citing their speed and athleticism as major tools for Booker to utilize. He also said he thinks the work on special teams can have a positive effect on Bradley since he isn’t just sitting on the sidelines waiting to get into a game, he has already been running and hitting by the time he gets his first carry. Bradley said he’s known since the season started that he would get into the game at running back, it was just a matter of when. After the Northern Illinois loss two weeks ago, he said Riley told him the staff was going to get him in against Rutgers to see what he can do. With Bryant likely to miss the Illinois game, Bradley could get even more opportunities to show his stuff.